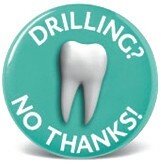 Nobody likes the drilling. Sometimes we can eliminate this problem for our patients. In certain procedures, we are able to use a product called Icon (short for infiltration concept) by DMG, allowing us to do what was once a “drilling required” procedure, without the drill or anesthesia. 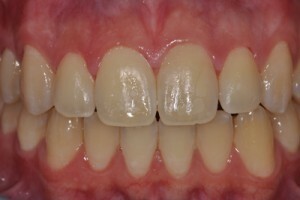 This procedure works best to remove white spot lesions (early decay) on teeth, a procedure that needed a filling before. This new minimally invasive product is used to fill and reinforce the pore system of a white lesion, allowing it to blend into the tooth structure. This takes away the need to drill out the white spot and fill it and restores the tooth to its natural healthy appearance. This is a one-visit procedure that can stop the progression of early enamel lesions and remove white spot lesions without drilling or anesthesia. 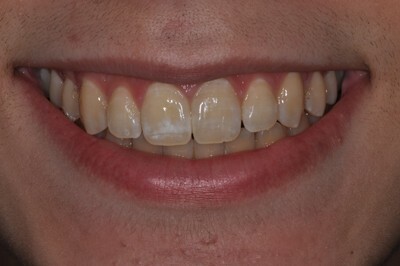 This technique holds real advantages over other procedures that may involve drilling, anesthesia, repeat visits, additional bleaching, bonding touch-ups, or veneers. The technique is called Resin Infiltration and it works by utilizing a low viscosity resin, which sinks deep into the white spot. This seals the pores in the tooth (caused by early decay) replacing lost tooth structure and stopping any further decay progression as well as bringing the tooth colour back and removing the white spots.